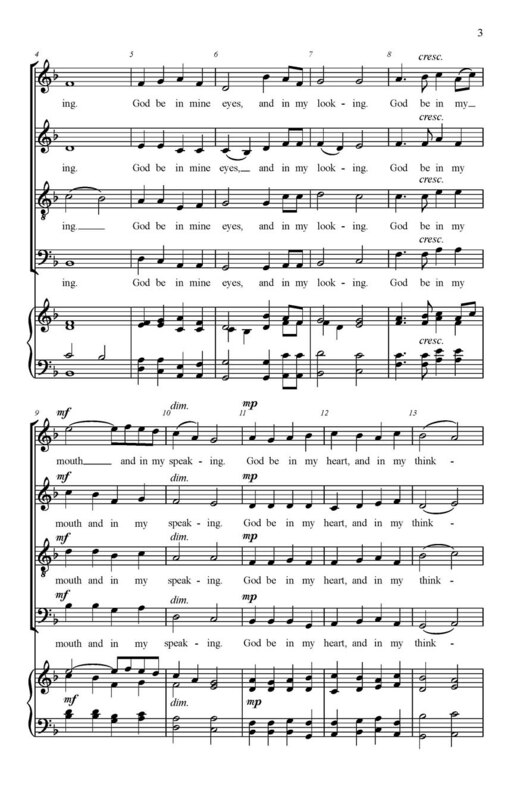 “God be in my head” is the prayer that composer James Gossler has set to music. 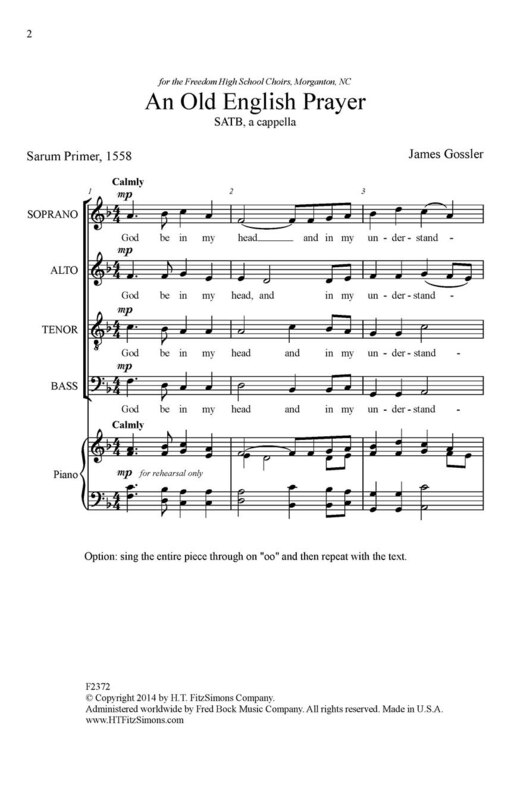 The beseeching lyrics call for unpretentious vocal lines and soothing cadences and Gossler delivers beautifully. This modest and entreating petition will honor any service.